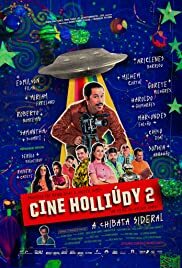 Francisgleydisson is the owner of Cine Holiúdy, a very modest movie theater in the country side of Brazil back in the 1970's. He undertakes many duties to bring movie magic to the audience. Pacatuba "CE, Brazil", 80's. With the arrival of the videocassette, Francisgleydisson is obliged to close his beloved Cine Holliúdy, which compromises the payment of his son's college, now with 18 years old. To Save the situation, he decides to produce an amazing sci-fi movie using as actors the inhabitants of the city.